5 Minute Read: Self-care, skincare, clean beauty, healthy skin, morning routine, evening routine, skin food, freebie. First, the time-sensitive stuff. TODAY, Beautycounter announced 15% off site-wide for Friends + Family – if you use my consultant link, that includes you! 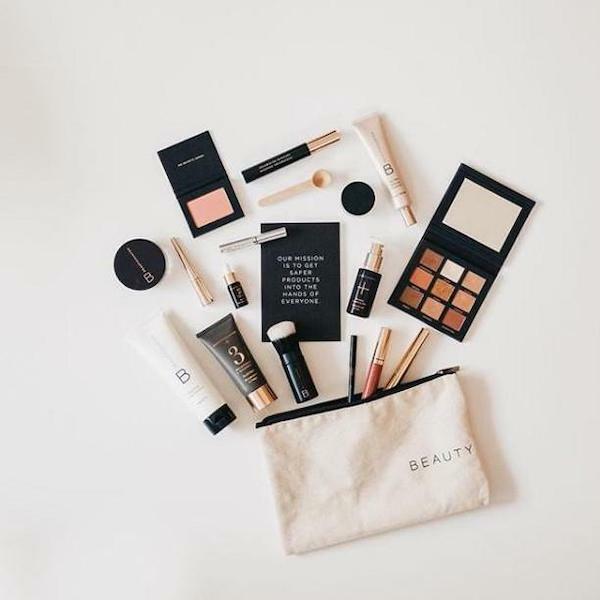 Beautycounter has only done this sort of major, site-wide sale once before – a year ago! There are a few exclusions (mostly full sets + collections), but most everything is up for grabs. And…tidy up your skincare self-care. When it comes to creating healthier, more supportive routines, spring is the perfect occasion…and skincare is a fun place to start! Edit your products, keeping only what you love and making space for any new swaps. That old stuff that's just taking up space and not bringing you lightness and delight? Toss it. Then clear out a special spot for keepers and new additions. Each evening before bed, do the same, spending 10 minutes on your skin and yourself. Go slow, do some self-massage or gua sha, make it mindful. Beautycounter’s 15% off sale is only around for a limited time...and is an awesome deal to share with YOUR friends + family. I'd LOVE for you to forward this post to spread the word and help get safer products into more people's hands and homes. Or, if you know people potentially interested, you could also join as a consultant yourself! That just means friends + family can purchase through your link, and you'll get special discounts and goodies. Contact me for details! Also reach out if you have questions about any of the products or why, as a Doctor of Oriental Medicine, I use and recommend them. You can also read my post on that here. Remember, the 15% off sale is only here for a short while + WHILE SUPPLIES LAST. The last time they did a big sale like this, stocks were depleted halfway through Day 1! Lastly, don’t forget your free gift. STEP 1: Purchase at my consultant link. The 15% off will be automatically shown + applied on eligible purchases as you’re shopping. STEP 2: Select JADE from the "Select a Social" drop-down list at checkout. This is how I'll know to send your free gift. STEP 3: Don't forget to choose a free product sample of your choice with every purchase!! Have a skincare routine in place? Making any springtime swaps? Please share in the comments! This post includes affiliate links. I earn a small commission on goods purchased through those links. I always select items I genuinely love and want to share. Thank you for helping me keep this blog up and running!